Gov. Jerry Brown has vetoed a bill intended to draft a tougher construction code to keep buildings usable after a major earthquake. 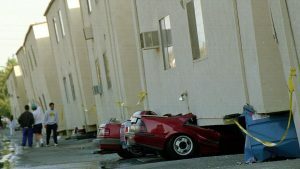 Seismologist Lucy Jones, formerly a science advisor for risk reduction with the U.S. Geological Survey, has been a big advocate for increasing California’s minimum building standards. Construction costs would only rise 1% to 2%, Jones said earlier this year, citing an estimate from Keith Porter, a University of Colorado Boulder research professor.